What if your guests can buy tickets for the greatest attractions in the area of your accommodation quick and easy? Of course, your own webshop will be protected with an exclusive password! "A receptionist's primary goal is to provide the guest with a top experience. Only the information provision is insufficient nowadays, guests expect a service! By thinking along with the guest's needs and providing them with discounted tickets for activities from the region, you increase the valuation for the accommodation. " In the old situation guests read the dozens of brochures that are at your reception and eventually, they will buy the tickets somewhere else. A missed opportunity, because you can offer your guests more service. Moreover, you don't know where your customers end up and you are giving the attractions free advertising. 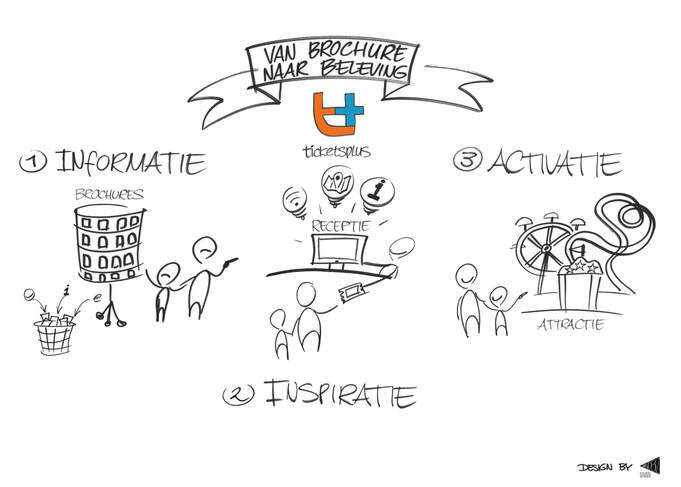 Inspire your guests with an excellent service. Trough your own online platform, your receptionist gets access to tickets with discount, for the most popular day attractions in the region. With the sale of each ticket you get a share of the turnover. By selling tickets at the reception, your guests receive e-tickets directly and they can immediately go past the entrance of the attraction. Trough this way, you can give your guests the best days out. This will increase the satisfaction of your customer during their stay at your accommodation. With your personal reception shop, your accommodation can supply its guests with tickets for the best attractions and activities within your local region. This will increase your service, provide more insights in the behaviour of your guests and generate extra revenue by selling tickets. Ticketsplus also takes care of the financial administration, personal guidance and a support desk. 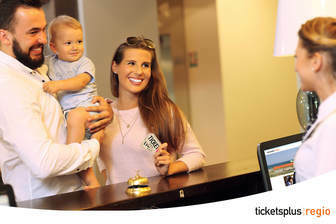 With an online platform your guests can easily and quickly order their own tickets without visiting the reception desk. Guests can use this online platform before, during and after their stay. This will increase their loyalty towards your accommodation. We will also help you develop and carry out marketing strategies, which could, for example, include social media and offline communication.